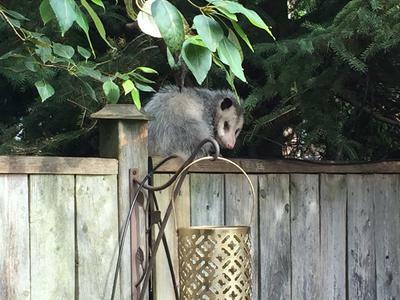 An Opossum spotted on our back fence in the garden, Leuty Avenue area, Toronto. Great picture - thanks for sending it to us. I will also post this on our facebook page so that our facebook friends can enjoy it as well.